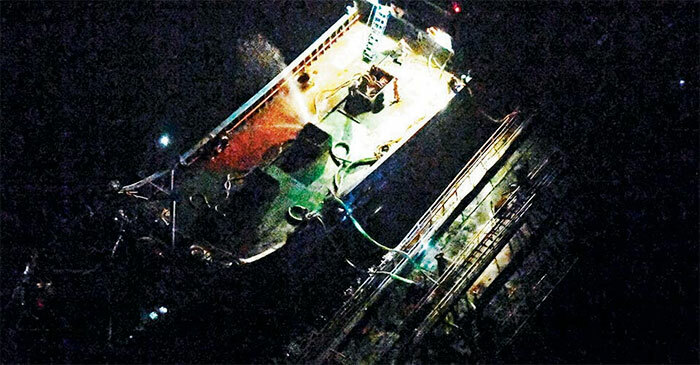 Japan's Foreign Ministry on Tuesday revealed photographs on its website showing North Korean vessels smuggling oil on the high seas from ships flying what appear to be Chinese flags. 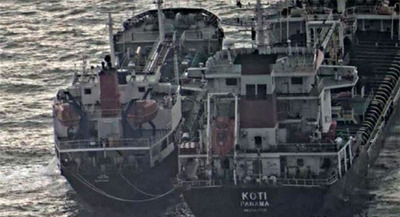 This is the fifth time this year that the Japanese government has published pictures of suspected petroleum smuggling by North Korean ships on the high seas. According to the ministry, the North Korean vessel Ji Song 6 lined up next to a small ship of unknown nationality on the East China Sea on May 19 which was flying what appeared to be the Chinese flag. Japan's P3C surveillance aircraft took the photograph and sent it back to Tokyo. Judging by a hose connecting the two ships, the ministry concluded that the photo depicts the smuggling of oil. Tokyo informed the UN Security Council and called on the Chinese government to investigate the matter. The Ji Song 6 is on a blacklist of North Korean assets under UNSC sanctions from March this year.